Although we are definitely due for some April showers, it’s almost Easter in Acadiana, and there is so much to do! Almost all the events are kid-friendly, excluding one just for moms. The rest are filled with spring-related activities like an egg hunt at the zoo, a flower expo and the biggest yard sale in the state. 4/12-4/14: Antique Fair and Yard Sale: Looking to get out of town, but not too far? The Washington Old Schoolhouse famous yard sale will be underway this weekend in the small town of Washington, just outside of Opelousas. The annual event features vendors from all over the country, and wares range from vintage furniture to homemade jams and baked goods. The items are located both inside the historic schoolhouse and all along the grounds outside. The yard sale starts every morning this weekend at 9. 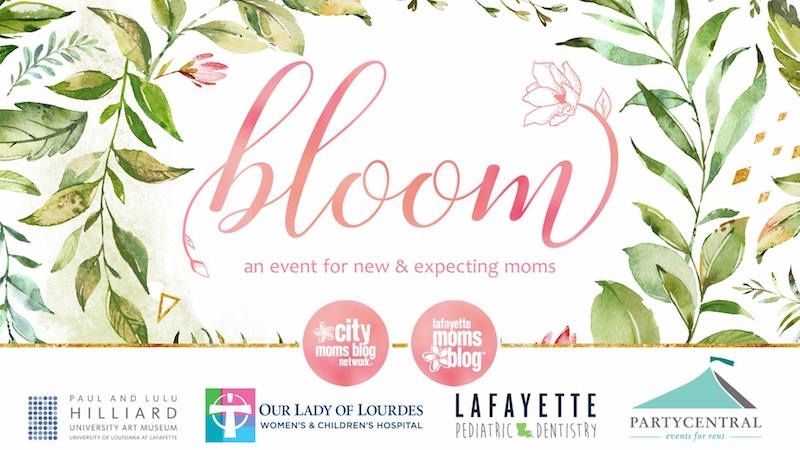 4/13: BLOOM: An Event for New and Expectant Moms: This first-ever event is a chance for mothers to come together at The Paul and Lulu Hilliard Art Museum for an informative brunch! New moms, expecting moms, and women thinking of expanding their family are invited to the Hilliard to learn about their options for prenatal and postpartum support and care. General admission for Bloom sold out, but VIP ticket packages includes brunch items from Pamplona Restaurant and Tapas Bar for $75 each and are available on Eventbrite.com. 4/13: 10th Annual Student Arts Expo: St. Landry Parish students’ work will be on display at The Acadiana Center for the Arts this Saturday for ArtWalk! This family-friendly daylong event will include a parade, live music performances from students on three different stages, and opportunities to create your very own piece. The goal of the expo is to cultivate a knowledge and appreciation of arts by and for the youth in the community, so you can support the future of art in Acadiana. 4/13: Festival Des Fleurs de Louisiane: Blackham Coliseum will host the 28th annual Festival des Fleurs Garden Show and Sale this Saturday from 8 a.m.- 4 p.m. The show will feature 80 booths with garden supplies, gifts, herbs, pottery and more. Free children’s activities will be available, and wagons and carts are welcome. Food trucks will be on site as well. Entry fee is $5, but kids 12 and under get in free. 4/13: EggstravaganZoo 2019: Come celebrate Easter with your favorite creatures at Zoosiana, the zoo of Acadiana, with a wild egg hunt. Attendees can look forward to candy stations, an activity station with seven free games, and finding Elmer Chocolate candy inside hidden Easter eggs throughout the day. There’s also a new safari express train to ride and a jungle lodge playground! Regular admission prices apply: $11.99 for adults and $7.99 for children 3-12. Tickets are available at zoosiana.com or at Zoosiana the day of the event.